A group of badly equipped walkers was guided to safety by phone after getting lost on Blencathra in the Lake District. Rescuers said the young walkers were surrounded by steep drops and the fact they had no compass could have had serious consequences. The group was caught in bad weather without navigation equipment on Tuesday on the summit of the mountain. 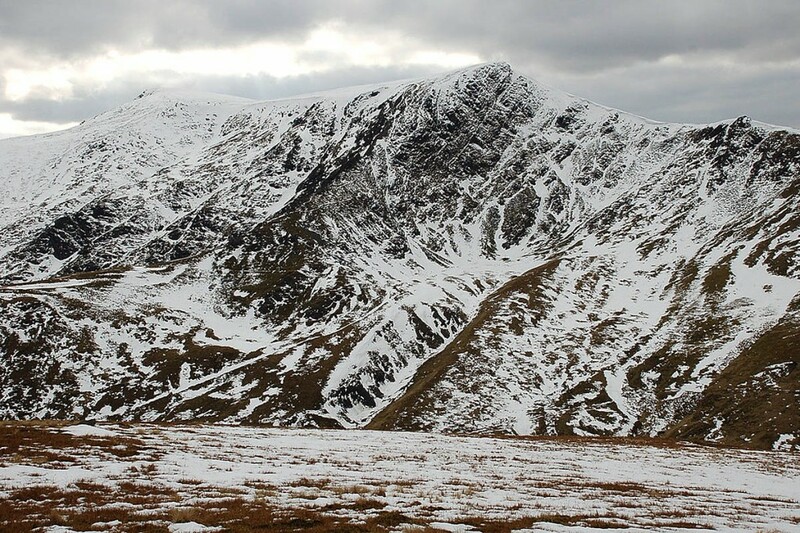 Keswick Mountain Rescue Team used the Sarloc smartphone system, which utilises the casualty’s phone’s built-in GPS receiver to pinpoint their location, to determine their position, after which one of the team’s controllers was able to instruct them by phone to walk in the correct direction. A team spokesperson said: “In a short space of time they had located the path down Scale Fell and were able to get themselves off the hill. “It’s maybe worth pointing out that the area where they were stuck was surrounded by steep drops. If they had not been able to make contact with the team, the lack of a compass in the party could have led to serious consequences. The Keswick team was called out later in the day after a walker suffered a serious lower leg injury when he slipped while descending Mallen Dodd on Latrigg. Team members were alerted about 4.55pm and two vehicles and volunteers made their way to the Gale Road car park with kit to immobilise the 48-year-old’s leg and protect him from the weather. The spokesperson said: “He was stretchered back to the car park, and put into one of the team’s Sprinter [vehicles]. As no ambulance was immediately available, the team took him down to the Cottage Hospital [in Keswick] to await an ambulance which would take him to Carlisle for further treatment, after which the volunteers returned to base. You assume if they'd had compass they would have known where they were; many people have lamentable geography skills? I carry a map, compass mobile phone and GPS just to be safe . Sometimes you need to get your arse handed to you on the hills to make you realise the importance of navigation and the need to learn the basics if venturing into the hills. If worked for me .